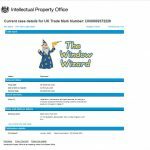 Does The Window Wizard cover your area for UPVC window and door repairs? Why does The Window Wizard not cover a larger area? We are based in Bexleyheath, Kent offering our services over an approximate 6 mile radius. We have decided to limit our coverage area to keep our costs to a minimum. Therefore, giving our customer’s the best value, furthermore being able to keep accurate appointment slots. 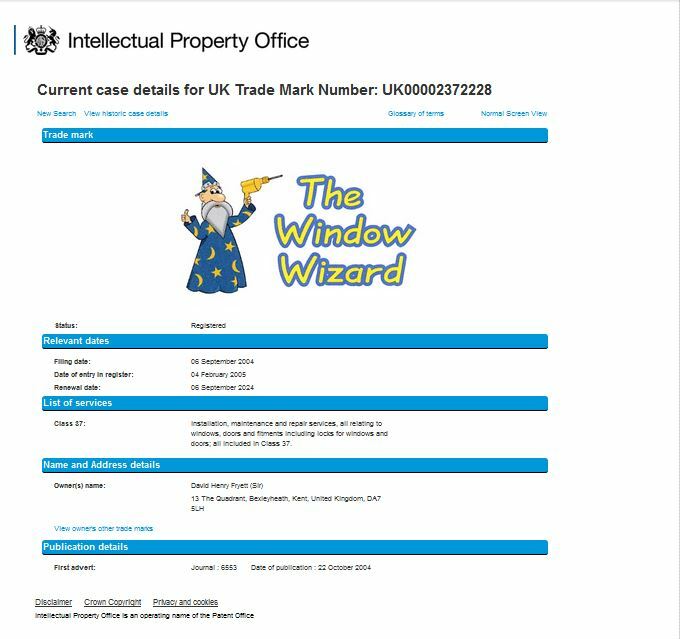 The Window Wizard is a registered Trade Mark (UK00002372228)and owned by us since 2004. We are the only legal registered owner of this TM. The Window Wizard is not part of any franchise. Therefore if you come across another company trading as The Window Wizard or confusingly similar. Then the other Company are illegally and unlawfully infringing upon our TM (UK00002372228). The Window Wizard is a family run business. You will always deal with David or Clare, giving you peace of mind and a personal service. When you call The Window Wizard either David or Clare (David’s Wife) will answer the phone. Most times, Clare will be able to give you a fixed price for your repair and an accurate appointment slot. We are a small company offering a long established double glazing window and door repair service. Who have built up a reputation for reliability, quality and service at affordable rates. We offer a Double Glazing Repair ONLY Service as The Window Wizard does NOT install Double Glazing, we carry all the parts in our van. The high regard with which the business is held by our customer’s is a true reflection on the reliability, quality and service we offer. Because The Window Wizard only offers a repair service, it is in both the customer’s and our interest to repair your existing double glazing. Only after we have exhausted all options and a repair is just not possible, we would then advise our customer to find a reputable installer to replace their double glazing. Fully qualified and specialist in multi-point door locks and window mechanisms. We use dust sheets to protect customer’s floor coverings. We are covered by a Two Million Pound Public Liability Insurance policy. David or Clare will inform the customer of the fixed prices over the phone. “We price the job and not the person”. We DO NOT install new double glazing, so we will NOT try to sell you any! Accurate appointment slots given and kept. Because David is the only technician, you will always have the same person carry out the repairs. The Window Wizard van is always kept fully stocked with repair parts, so most repairs are carried out in one visit. Local Area Map for Double Glazing Door and Window Repair Specialist. Covering Bexley and surrounding areas including post codes With over 25+ years’ experience in the window & door industry, we offer our customers a cost-effective repair service.